Catalan officials later said 90% of those who voted backed independence in Sunday’s vote. The turnout was 42.3%. Spain’s constitutional court had banned the vote and hundreds of people were injured as police used force to try to block voting. Officers seized ballot papers and boxes at polling stations. 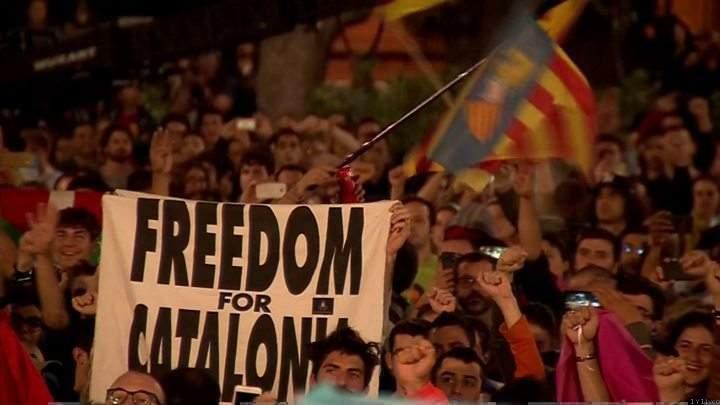 Spanish Prime Minister Mariano Rajoy said Catalans had been fooled into taking part in an illegal vote. More than 2.2 million people were reported to have voted, according to Catalan authorities, out of 5.3 million registered voters. A Catalan spokesman said more than 750,000 votes could not be counted because polling stations were closed and urns were confiscated. 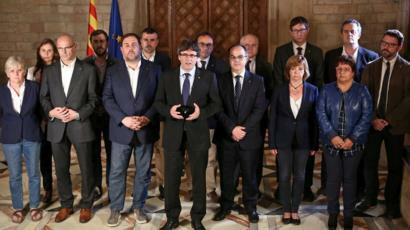 “With this day of hope and suffering, the citizens of Catalonia have won the right to an independent state in the form of a republic,” Mr Puigdemont said in a televised address flanked by other senior Catalan leaders. The Spanish prime minister spoke of a “mockery” of democracy. “At this hour I can tell you in the strongest terms what you already know and what we have seen throughout this day. There has not been a referendum on self-determination in Catalonia,” Mr Rajoy said. The Spanish interior ministry said 12 police officers had been hurt and three people arrested. It added that 92 polling stations had been closed. Catalonia’s government disputed this number and said many more had been closed. In Girona, riot police smashed their way into a polling station where Mr Puigdemont was due to vote, and forcibly removed those inside. He voted at another station. 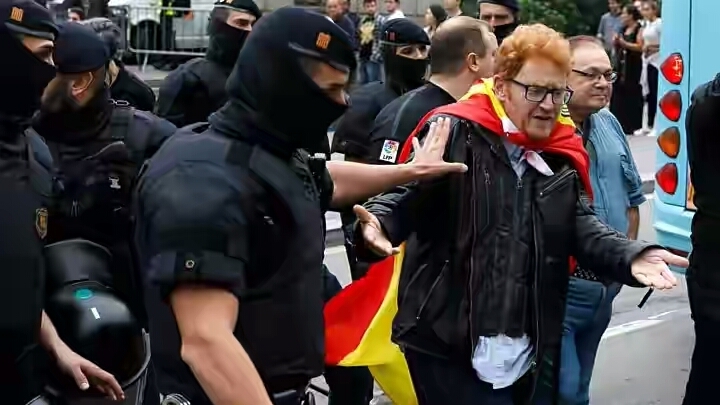 The Catalan police – the Mossos d’Esquadra – have been placed under Madrid’s control, however witnesses said they showed little inclination to use force on protesters.